Roebuck & Co. Men's Jeans Just $7.99! Down From $39! You are here: Home / Instagram / Roebuck & Co. Men’s Jeans Just $7.99! Down From $39! 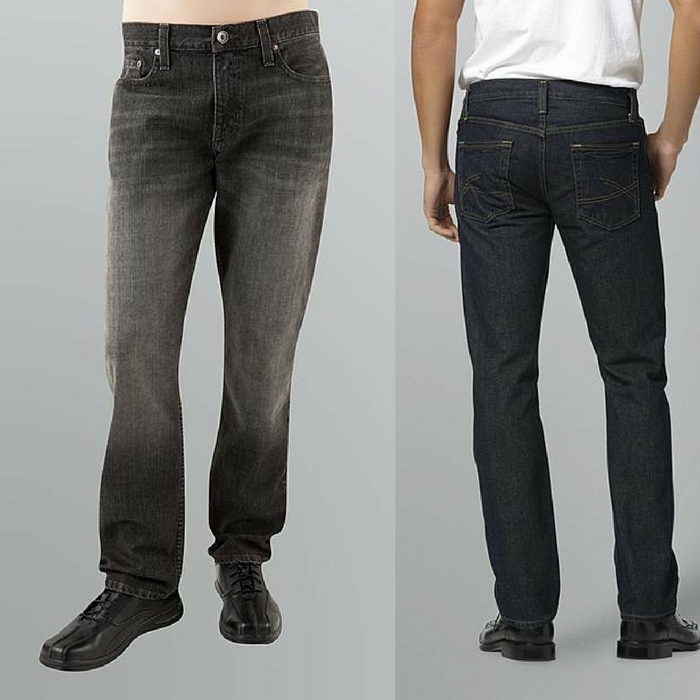 Roebuck & Co. Men’s Jeans Just $7.99! Down From $39! Hurry over to Sears where you can score this Roebuck & Co. Men’s Jeans for just $7.99 down from $39 PLUS FREE store pick up or FREE shipping for orders $25 or more! These slim straight leg jeans are tailored for a super comfortable fit and to provide an ultra sleek profile. Roebuck & Co. men’s jeans are made from 100 percent cotton denim so they get more comfortable after repeated wearing and washing. These will be your go-to jeans for casual wear, yard work and any leisure activities. The men’s slim straight leg jeans feature traditional jeans styling with two front pockets, a coin pocket and rear pockets. The are cut low rise with slim straight legs for a contemporary youthful look. The jeans feature a traditional zip fly with button closure. These jeans provide a contoured, natural feeling so you’ll feel comfortable and confident wearing them.